ABOUT US: Accademia Romana Kendo is glad to present to its visitors. Leader firm in the sector of Information and Communication Technology it takes care of industrial and private electrical systems and phone and telecommunication lines. Its activity is mainly oriented toward big clients for what concerns advice during project phase, direction and ordinary or extraordinary maintenance of realized plants. Quick thinking and action, maximum allegiance and solid values associate I.R.T.E.T. Srl and Accademia Romana Kendō ASD. I.R.T.E.T. 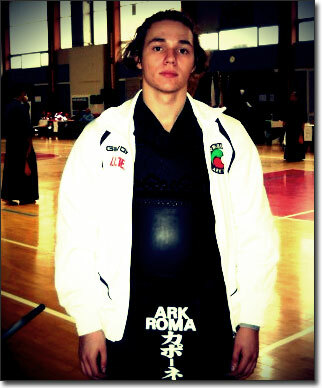 Srl, to who are addressed the heartfelt greetings of ARK Roma, provided GIVOVA equipment graphically personalized. The supplied kit left everyone favourably moved for its quality and completeness. team wearing white "representative" suit.